I saw on Pinterest the recipe for Nutella Crescents. 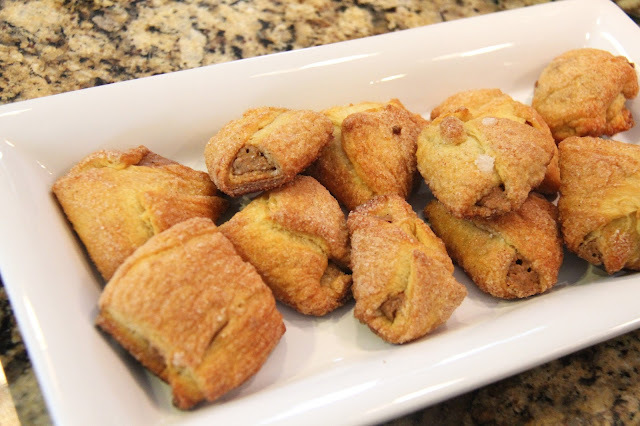 Basically, crescent rolls with a dollup of Nutella, rolled in sugar and cinnamon and baked. My original plan was to make these Christmas morning, but lo and behold, I walked right out of the grocery store without the Nutella. 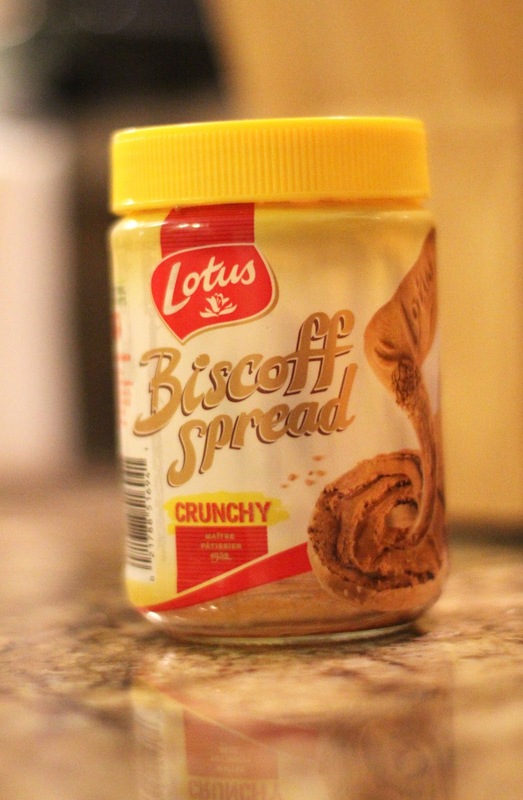 My mom had a jar of Biscoff Spread in her pantry, and thought I should try it instead. I'd never tried it before so I dipped my spoon in for a taste.....and ohmygoodnessgracious......this stuff is just about one of the best things I've ever tasted! I can't even begin to describe it. It's like a spread of gingerbread! So, Instead of using the nutella, I used the Biscoff spread instead and they were really good! cinnamon, and baked according to the package.